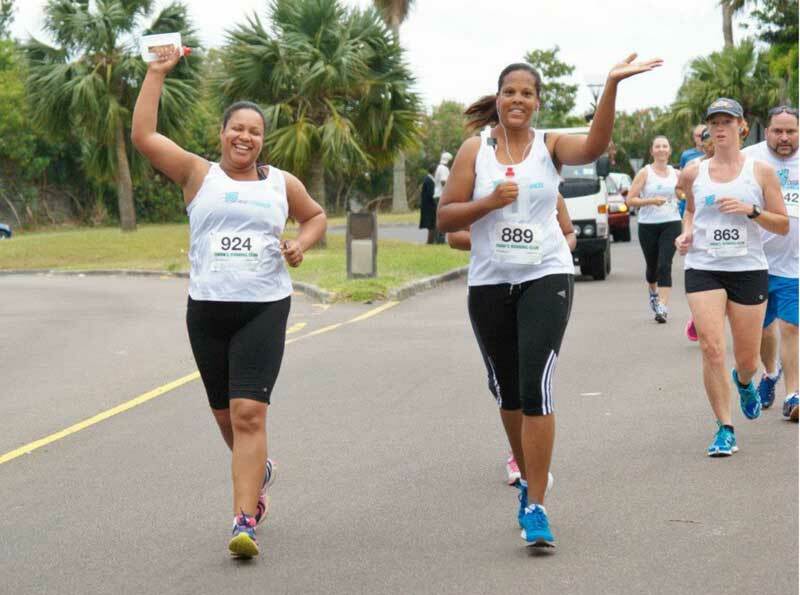 Beat the Couch, a running event intended to help people to stay active and get fit, has gained a new corporate sponsor in The Argus Group, with the company set to provide support of the upcoming October programme, which is now open for registration. A spokesperson said, “Beat the Couch has made a strong name for itself since it began in February 2013, with over 80 individuals taking part in the most recent season. 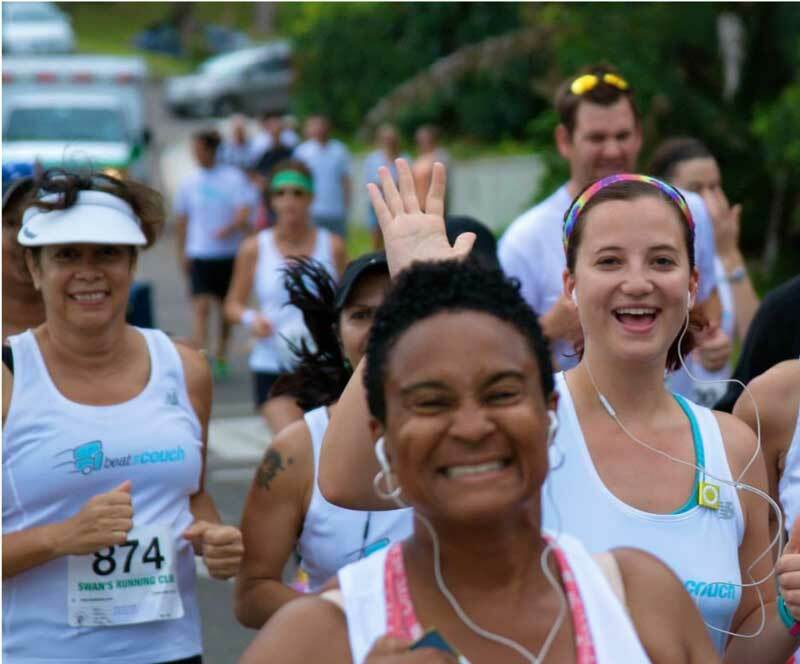 The programme, which is designed to help people to train and ready themselves for a 5K run in 10 weeks, provides professional running expertise, nutritional support, motivation, and success coaching. 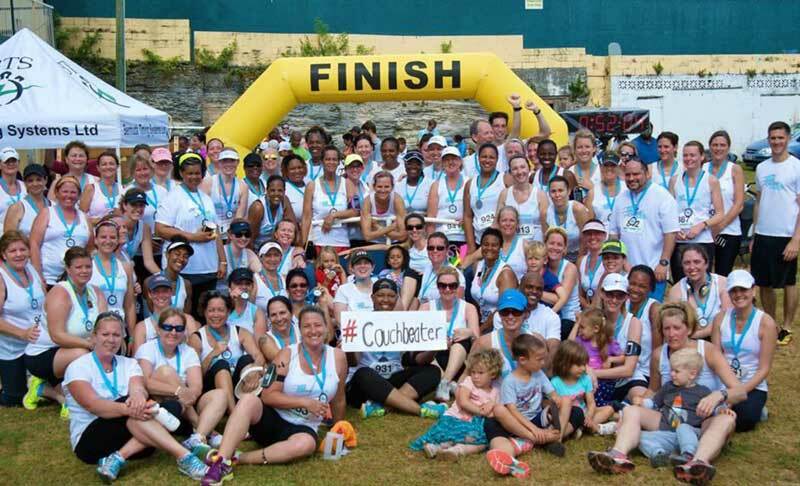 Catherine Burns, Managing Director of Natural Ltd, said, “Our Beat the Couch programme focuses on an incredibly important demographic in Bermuda – those who are more sedentary. Studies show us that you don’t have to run a marathon for significant disease prevention and health benefits, you just have to get moving regularly. Ms. Burns explained that participation in the Beat the Couch programme requires taking part in three training sessions per week. This season there are 11 weekly sessions to choose from, including early morning, lunchtime, and evening options. Training for Beat the Couch is provided by professionals Sergio White and Chuck Morgan. When asked how it feels to watch their participants cross the finish line, Mr. White added, “There has always been an amazing team spirit within the Beat the Couch groups. This programme brings all sorts of people from all walks of life together in one goal. “Registration for the new October season of Beat the Couch is currently available on a first come, first served basis. The programme begins on October 1.